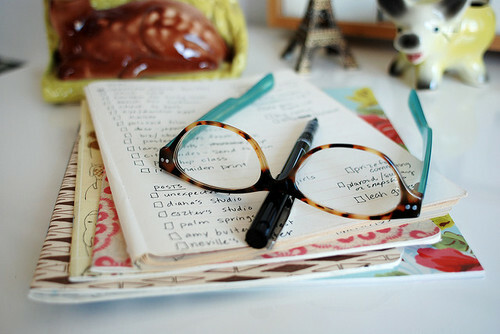 "do you really need a life plan"
I love making a list, I always have. From a young child I would love to write in my treasured fresh crisp note book about what homework I had to achieve before the summer break was over. Nine times out of ten the homework was never completed but my list looked great. As the years have moved on my lists have grown from a 'need to do' to 'I really really want, but will never have' and the biggest of all 'where I see myself in X years and how I plan to get there'. As the years have flown by the 'where do I see myself / life plan' list has completly change. If I was to look back to my list when I was 17, I would be confident in saying that I haven't achieved much of what is on there. I have found that I am very much, what my mam likes to say; a flutter bug. I flit from one job, place, trend etc to another and the years have passed in the process. But I am happy and so what if I haven't bought my own house yet, got a ring on my finger or stayed in the same place of work for longer than two years. I am living life for the here and now, and I am enjoying it.